Bassenthwaite Lake is the most northerly of the major lakes of the English Lake District. Its southern shore is about three miles north of Derwent Water, to which it is connected by the River Derwent, the nearest town being Keswick. To the east of the lake is the mountain, Skiddaw (931 m/3,054 ft). Bassenthwaite is around 4 miles long and interestingly is the only one of the Lake District "lakes" which is correctly called a lake. Others are, strictly speaking, meres (for example, Windermere and Grasmere), waters (such as Ullswater and Coniston Water) or tarns (Blea Tarn and Tarn Hows). Bassenthwaite village is on the east of the lake, about a mile from the shore, under Skiddaw. It is a small and unspoiled agricultural community in a beautiful setting. There are roads on all sides of the lake. To the east is the Keswick to Carlisle road, while to the west is the A66 main road to Cockermouth and the West Cumbrian towns of Workington and Whitehaven. This road now follows the line of the old railway which closed in the 1960s, leaving the villages, especially Thornthwaite, quieter without the constant roar of traffic. Bassenthwaite is one of the lakes on which sailing is permitted (with permit)! The Bassenthwaite Sailing Club is to be found at Dubwath, not far from the A66 at the northwestern end of the lake. No motorboats are permitted, and the water is kept peaceful. The lake is a popular pike fishery, with other species also providing good sport for the angler: perch, chub, bream, roach, dace and others. Permits are readily available and fishing is permitted from many points along the western shore; boats can also be used, especially for pike fishing but all fishing on the lake is controlled by the Lake District National Park Authority; it is vital to check the detail rules and limitations, and to ensure you have any necessary permit; there is no general right of navigation on the lake. A rare Bassenthwaite fish specialty has been the vendace (Coregonus vandesius), an endangered species of white fish unique in England to this lake and Derwent Water. It now looks as though the species has died out in Bassenthwaite due to a combination of environmental pressures and predators. It was hoped that work to restore the habitat would result in its reintroduction as has been successful in Scotland at Lock Skene. However in mid-2008 it was declared extinct in Bassenthwaite although a small population still exists in neighbouring Derwentwater. 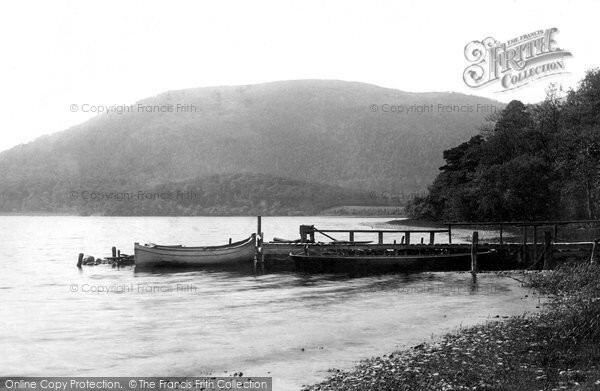 To learn what is being done in an ambitious plan to restore the lake's water quality to what it was seventy years ago look at the web site of the Bassenthwaite Lake Restoration Programme. Other ecological rarities are to be found in the area, including breeding ospreys which since their return in 2001 have have attracted ornithologists to the special viewing station across the lake, especially when new chicks appear. Thanks to the combined efforts of the RSPB, the Forestry Commission and the National Park Authority there is considerable protection afforded to these rare birds. Take a look at the live video-cam screen, courtesy of BBC Cumbria. If you are especially interested in the reintroduction of ospreys in England, take a look also at Rutland Water. 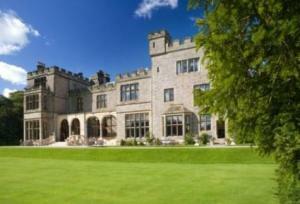 In the area close to Bassenthwaite Lake the hotel that stands out in my mind is Armathwaite Hall. I first stayed there for just one night back in 1982 when along with a colleague I needed to meet the late Lord Rochdale about some business for a client. He was then elderly and over dinner, after having dealt with our business, began to reminisce about his younger years. His father had bought a house by Derwentwater and they would sometimes visit friends at Armathwaite Hall, then a private house. He painted a fascinating verbal picture of the horse-drawn coaches sweeping into the drive bringing guests for the weekend. Today the coaches have been replaced by BMWs.